My first ABC old type? Scary looking.. 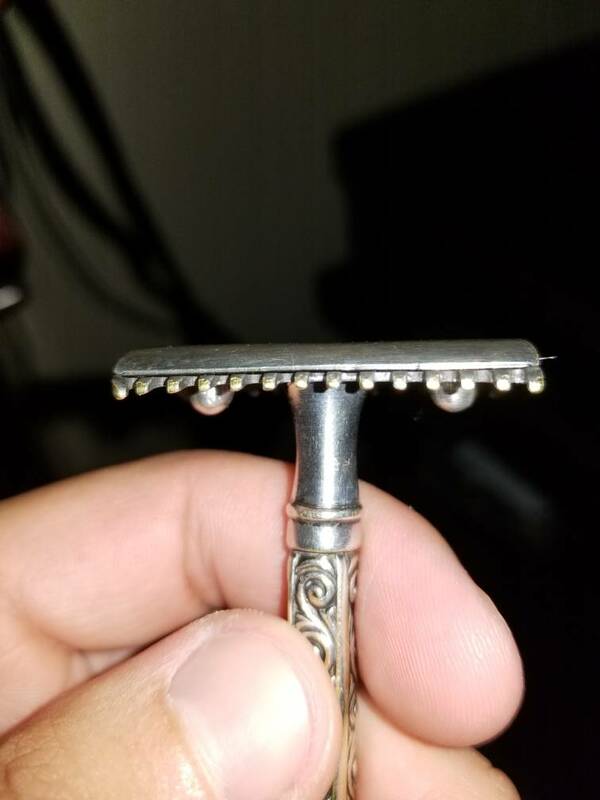 I just won a bid and received this razor through ebay... I looks very scary to use. How do they shave? I'm little scared to try it. 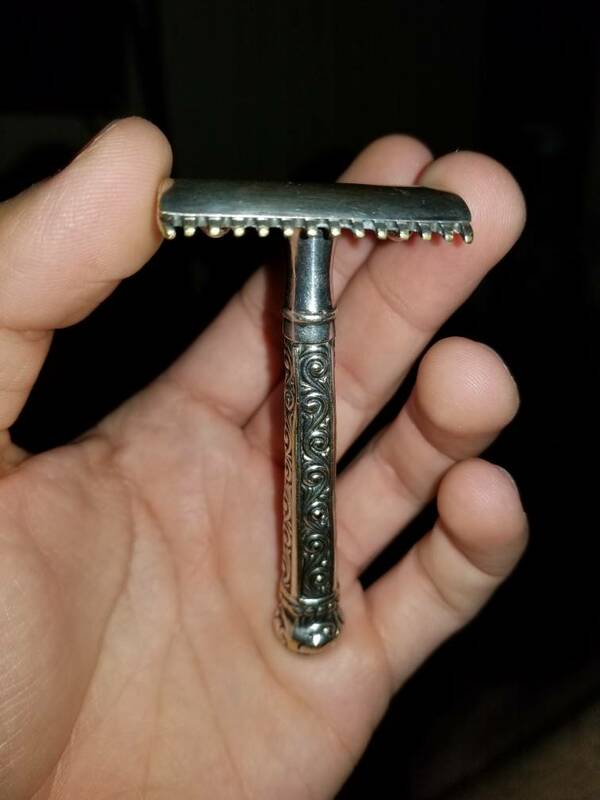 That's a really cool razor, congrats on the score! It looks like it's in really good shape too for being 100+ years old. Don't be scared to try it. Just be careful with a really light touch at first and you'll get used to it. 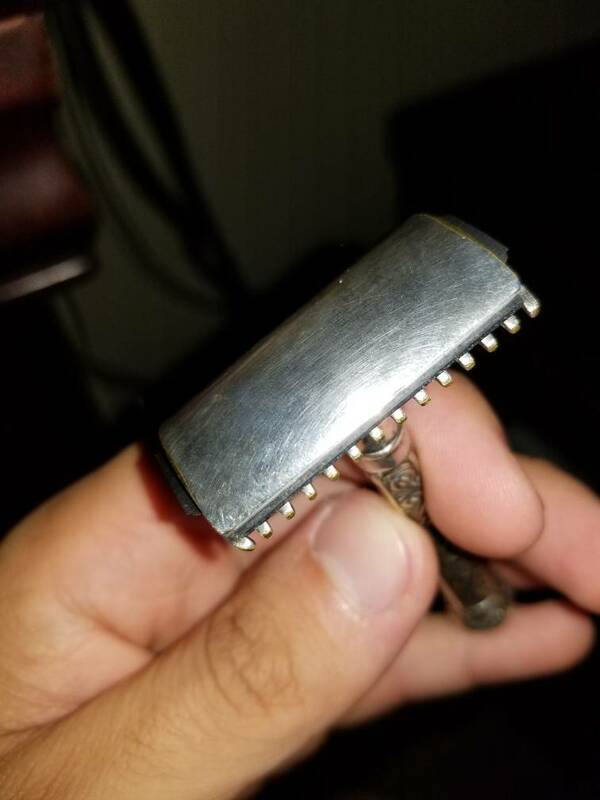 I have an old type too (not the ABC version) and it is an efficient shaver. A real beauty. My Single Rings (5) are my best shavers. However. Good technique with a very lite touch is a must. Do not get discouraged it may (will) take a few shaves to get the hang of it. Also for me they are blade specific. After trying a half a dozen or so the find that the Platinum Lux works best for me. So you may have to experiment in that area also. Good luck. A stellar shaver. Congratulations and they are a bit more than mid-aggressive shavers, in my opinion. I found the ABC to be a bit rougher than the standard Old Types. (05-12-2017, 05:58 PM)shevek Wrote: I found the ABC to be a bit rougher than the standard Old Types. I love the handle on that beauty.